Badugi is a draw poker game and is similar in structure to other “lowball” games. However, Badugi’s hand ranking system is different from other draw games, and the game only works with only four pocket cards. The object of the game is to make a Badugi – a four-card low hand with four different suits, and no pairs. ‘Badugi > 3 cards > 2 cards > 1 card ‘ is the hand rank, and in the same hand rank, the person with the lower number wins. 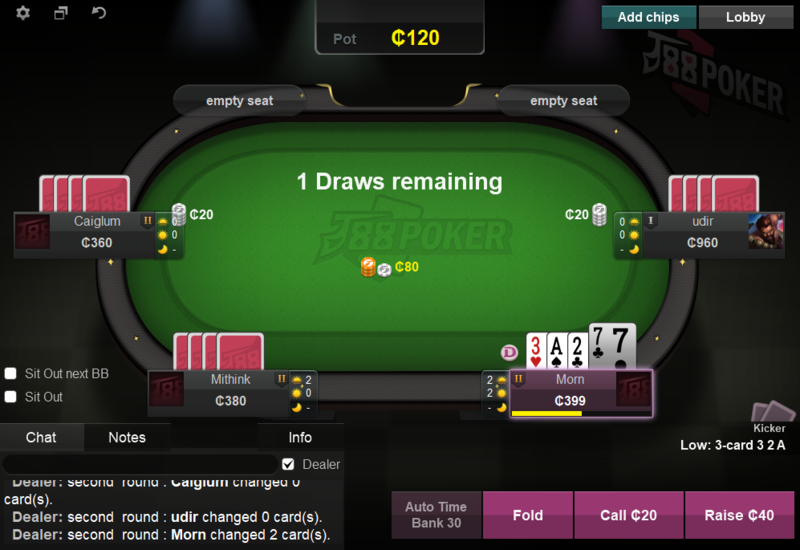 In J88poker, two to six players can play together at the same table.